We all get stressed in our lives, and some people play video games to help with the stress. Can this have a negative impact on students or can it truly help them? Many people think games are just for kids, but what if they could do more? When some students are stressed with school, work, or just everyday life, they sometimes play video games to help with relieving some of that stress. 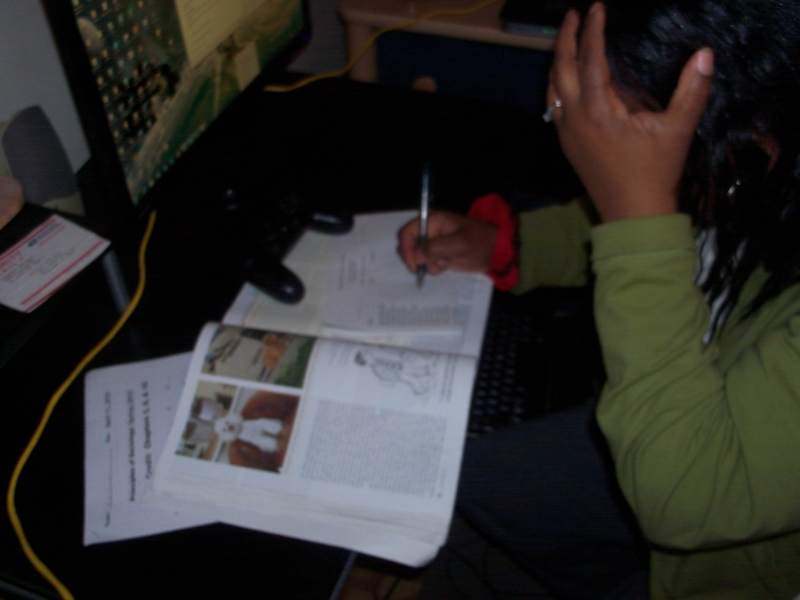 However, many students around campus said they believed that video games could not help with relieving stress. In fact, some students thought it could cause it. “It is way for people to relax,” HCC Psychology professor John C. Sopchak agreed. “When people are stressed [with] school work and other things sometimes the best thing to do is escape it for a little while,” Sopchak said. Sopchak emphasized “balance” and said when students do play video games to get rid of stress they should do it the right way. In short, don’t let video games take priority over your other responsibilities. A Texas A&M University study conducted by Dr. Christopher J. Ferguson in 2010 examined video games relationship with stress and if they truly could help with relieving it. In the study young adults were given a frustrating task and then assigned to play either no game, a non-violent game, a violent game with good versus evil theme, or a violent game where they played the “bad” guy. Ferguson said the research showed that, “Playing violent games may reduce depression and hostile feelings in players through mood management,” but warned that more studies must be done before anything can be said for sure. Another study had the same results. In an article published in the October 2007 issue of the American Psychological Association’s Journal of Personality and Social Psychology McGill University professor Mark Baldwin and his team of graduates found that video games could lower stress hormones. The subjects who played the video game in the study, “showed an average 17 percent reduction in cortisol production” compared to those who didn’t play a game.